Writing a CV and cover letter can often be a tricky activity! We spoke about it briefly here but feel like we didn’t do it enough justice. So here is a whole post dedicated to tips and tricks helping you to write a rocking CV and cover letter. We hope that this makes the process a whole lot easier! A cover letter is a one page document intended to highlight your skills, experience and achievements. The purpose of a cover letter is to show the employer that you are the right person for the job! In order to do this, you must match the key skills and activities required for the job to your own skill set and experience. It is all about supporting your claims with evidence. For example: I have great public speaking skills that I have developed through my time at university and have been awarded a certificate for Best Public Speaking in my class. This shows that you know what the desired skills are and that you can support your abilities in this area. Another important aspect of a cover letter is speaking their language. This often takes a little bit of research to get familiar with the company and find their values. You must then convince the employers that you are not only familiar with their organisation but you are the perfect match for the culture of their organisation. This is the reason why you should always apply for jobs with the organisations that you already know and respect. If there is previous knowledge then it is far easier to align your values with the values of the organisation. Once you have introduced yourself, matched your skills to the required skills of the job and displayed an understanding of the organisation, there is only one more thing left to do! Like any great pitch, you finish your cover letter off with a call to action. For example, “I look forward to hearing back from you to organise an interview” or “Please find my resume attached for your consideration”. Hopefully your cover letter has impressed them so much that they are already picking up the phone! • Don’t forget to include your name, address, telephone number and email address. • Try and find the name of the person reading the letter so that you can address it straight to them. “Dear John Smith” sounds a lot better than “Dear Sir/Madam”. • Write using spell check but don’t rely on it! Make sure you get a friend, or a few, with good English skills to proofread your cover letter. • Stay short and concise! Avoid long sentences and chunky paragraphs and stick to the point. • Be enthusiastic and write in a positive tone! While a cover letter is an overview of the highlights of your professional life, a CV is an in-depth document that goes into more detail about your experience. At the bare minimum a CV should include your name and personal details, education, employment history and a few good referees with names, titles and contact details. Other things you might want to include are: objectives, skills, achievements, volunteer work and languages. Although a CV is more in-depth than a cover letter, you should still try to keep it to 1-2 pages and always remember to be clear and concise. Writing a CV isn’t an easy process and be prepared to make changes. Continually proofread your work and check for sentences that could be more concise! Make sure you aren’t repeating yourself and try to use a wide range of vocabulary. Get a professional to look over it if you can or even just ask for some tips. Asking your friends to look over it can be helpful as they may know some tips that you don’t! While most people know that a cover letter should be tailored, many don’t realise that you can tailor a CV too! This can be as simple as moving the most relevant information to the top or using key words to describe your skills. A simple way to tailor your CV to the job you are applying for is by editing your objectives to suit the objectives of the organisation. Keep in mind that one standard CV may not be suitable for every job you apply for. For example, I have a different CV when applying for an internship compared to the CV I use when applying for a casual position. Now that you have tailored your CV, make the most of the skills and interests that you have! Spend some time brainstorming ideas for skills and interests and try to pick some that will make you stand out from the crowd. Basically, what can you do that is different from someone else and how can that relate to the job description? Same goes for your interests. Try and stand out but don’t pick interests that aren’t related to the job. Don’t include passive interests that can make you seem like a solitary person. You want to seem as diverse, interesting and enthusiastic! As I am sure you are! So I think that sums up all the tricks I have on writing a cover letter and CV. If you have any more tips then please feel free to comment on this post! 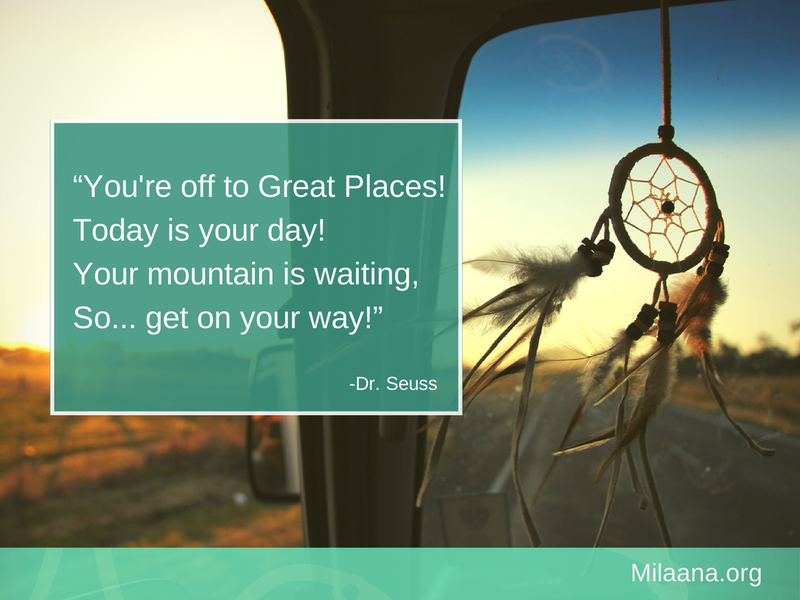 And if you’ve followed our tips and written an incredible CV and cover letter, head to www.milaana.org to browse our projects and find the perfect internship for you!